It’s easy to forget that making the NCAA Tournament is never a given when a team has done just that in recent history. 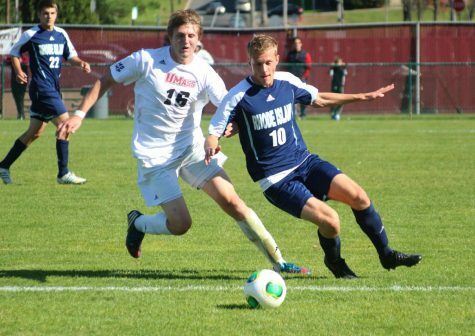 That’s why Massachusetts men’s soccer coach Sam Koch won’t put those expectations on his players even though making the tournament for a third straight year still remains a goal for 2009. 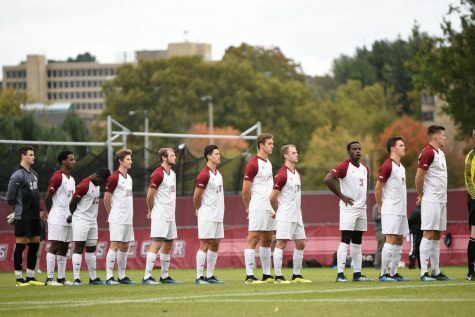 Last season, the Minutemen (10-8-3, 7-1-1 Atlantic 10) followed up their 2007 College Cup appearance with another NCAA Tournament appearance after winning the A-10 regular season title. 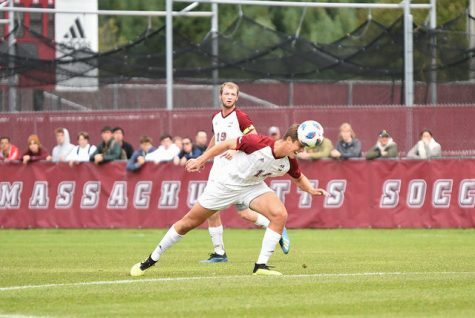 UMass struggled early on in the non-conference schedule, finishing 2-5-2. But ever since the double-overtime tie with Duquesne on Oct. 19, 2008, the Minutemen were undefeated against the A-10 and showed that it was still one of the nation’s best teams. 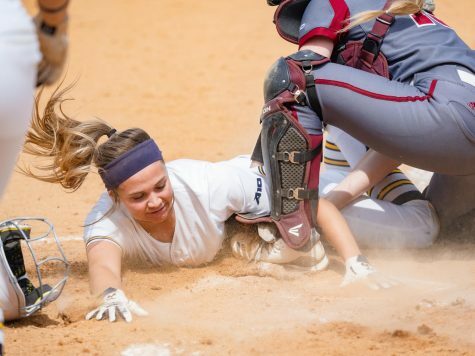 The Maroon and White won a decisive 2-0 victory against Saint Louis in the A-10 semi-finals before a 1-0 championship loss to Dayton. 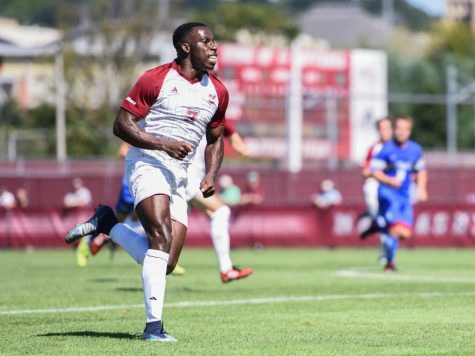 In the first round of the NCAA Tournament, UMass gave Harvard a strong defensive showing for 103 minutes before Crimson forward Andre Akpan kicked a golden goal just after gaining possession from sophomore Chris Roswess and got the ball past former goalkeeper Zack Simmons for the victory. Koch would like nothing more than to pick up where his team left off and make the tournament for a third straight year, but this year will be more of a challenge than in others. One reason why making the tournament might be more difficult this season is because of the departed Minutemen who were key to their success these past two years. The most notable is Simmons. As a four-year starter, Simmons finished with 386 saves and a 0.97 goals against average. His best game last season came against Boston University on August 31 when he finished with 11 saves. 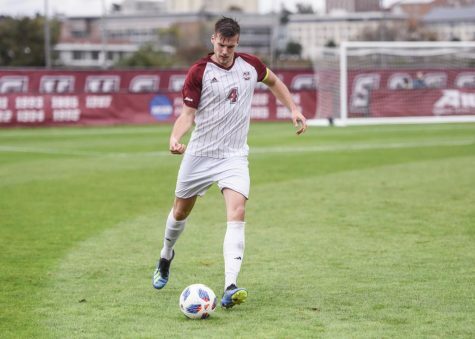 For the past two years, junior Shane Curran-Hays has become an apprentice to Simmons, helping him warm up and learning from the A-10’s top goalkeeper despite having the opportunity to start in numerous Division I programs. But now, his long-awaited time as the starter is in jeopardy, at least in the beginning because of a knee injury he suffered during the summer. That set-back will make the job a toss-up between him and junior Chris Piekos. The competition will also open up to freshman Bryan Frame, but Koch believes he still needs a year before he’s ready to start. The Minutemen’s other major losses are Mike DeSantis and Prince Ofosu. 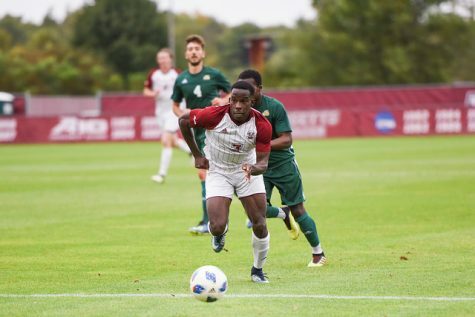 Both were very important to the offense last year with Ofosu providing a spark off the bench (five goals) while DeSantis provided UMass with a speedy midfielder who could play on both sides of the ball. As if those three changes aren’t substantial enough, the Minutemen will be looking at a new defense as well that was known for helping the Minutemen stay in games. But from what little Koch has seen out of his defense thus far, he is encouraged based on its performance during the spring season. UMass tied Maryland, the No. 1 team according to the Preseason NSCAA/adidas Division I Rankings, 0-0, and defeated No. 5 St. John’s, 1-0. Koch believes that this defense could live up to its reputation from previous years, but proof of that might not be evident until later on in the season. 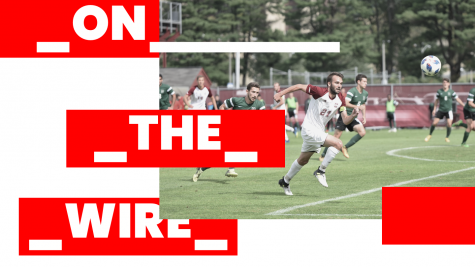 The one area that remains solid from last year is the midfield, led by Ben Arikian. 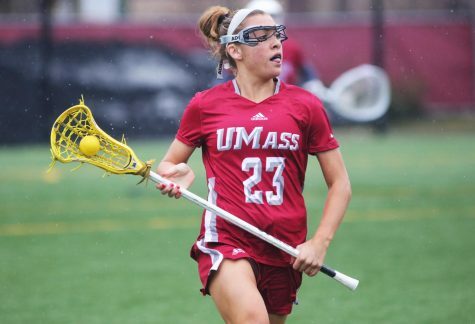 The junior already has high expectations as the only UMass player ever to make the Hermann Watch List. He finished the 2008 season with 15 points (four goals, seven assists) and should play an even more significant role with the Maroon and White this season. Some of the leadership will also have to come from forward Mark DeSantis, the team’s only returning senior. 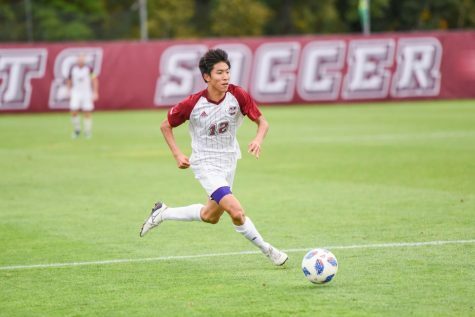 Koch believes that despite having a young team, having DeSantis around to play wherever he’s needed will be a key factor in determining if the Minutemen can still play at the same level they have the past two seasons. Appreciate your comments about the Simmons kid, but I was surprised you left Chris Brown off the list of big losses. Brownie was a key big man on defense for four years, especially after the graduation of Kenny Cook. Henshaw will be a force, but he has serious shoes to fill. I did not mean for that list to include every pivotal player leaving the Minutemen due to space reasons, but yes Chris Brown was a great defensive player. I was just using those three as an example of what UMass lost. Appreciate the comment.